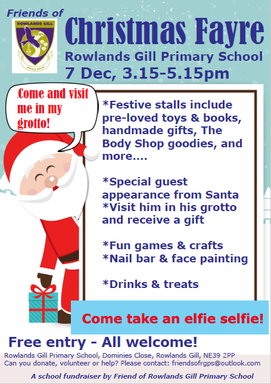 FoRGPS Christmas Fayre is TOMORROW! Friday 7th December 3.15 to 5.15pm! Raffle will be drawn at 4.45pm. Singalong with Santa Ste at 5pm to close the Fayre.